I'll work for my dad's best friend but only if he teaches me everything. He showed up with a $10,000 check to my party. "For you, gorgeous," he says, kissing me on the cheek. I'll never forget how his soft lips felt. I can still smell that s*xy cologne. He's my dad's hot best friend. And when he hires me as his assistant, I decide he has to be my first. I know the rules: Never fall for your employees. And especially never think about f*cking Violet. She's my best friend's daughter. He trusted me to protect her from other men. And I am jacking off in the shower thinking of her. I'm the one staring at her taut curves. I'm enjoying her company more than I should. Well, I can sense trouble coming. But first, I want to make her come. 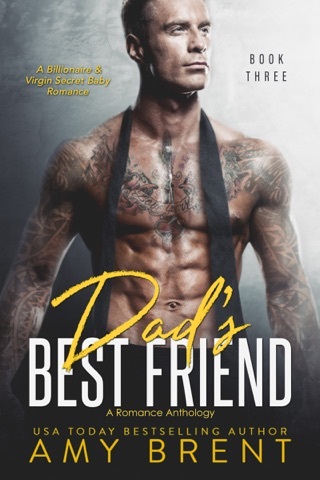 This is the first book in the Dad's Best Friend Series by Amy Brent.